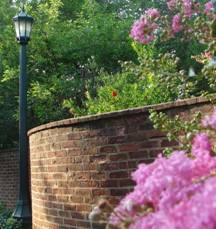 Welcome to our spring issue of our quarterly newsletter! Our goal is to provide you current and useful information that could improve your recruiting strategies for McIntire School of Commerce students. The newsletter format metaphorically represents the action-oriented results of effective meetings, and hence is titled the "McIntire Minute" with an agenda outline. In each issue, we will provide updates on the McIntire community, as well as our Commerce Career Services team that will give you the best opportunities to access our exceptional students and services. As usual, we stand ready to assist you in any way. We want to thank you for participating in McIntire programs and choosing McIntire as a core school for your recruiting plans. Much of our success is because of your support. Please contact us with any questions, comments, or suggestions to improve our communication with you. 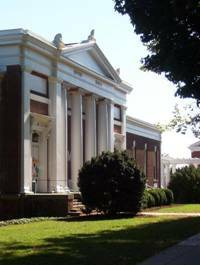 The McIntire School of Commerce was ranked second among the nation's best undergraduate business programs according to BusinessWeek's 2010 annual rankings. Complete rankings can be found at the BusinessWeek Website. We are very pleased with the outcome of the employer webinars we hosted in 2009-2010 discussing the options and best practices for effectively recruiting McIntire students. We will be offering another webinar in May and you will receive an email invitation to participate from Mary Riner. During this webinar, we will give a brief introduction about our team and services. Also, we will suggest ways you can create/enhance your firm's brand at McIntire, how we can help promote your recruiting deadlines/events to students, and how you can connect with McIntire-affiliated student organizations. We want to extend our gratitude to the organizations who recruited for internship/full-time positions through Commerce Career Services and also to those who recruited McIntire students through University Career Services. If you are interested in learning about recruiting opportunities through our office, or if you would like assistance with your recruiting strategies, please contact Director for Employer Relations, Mary Riner. Thank you to those who participated in our Employer-in-Residence spring workshops and programs. The program allowed McIntire students the opportunity to attend over twenty events consisting of a wide variety of current topics including how to best position yourself for the job/internship search and the power of networking. If you are interested in hosting a coffee networking session, resume reviews, mock interviews, or workshops in the coming academic year, please email Assistant Director, Denise Egan. These are all wonderful ways to build your company's presence with McIntire students while providing them a valuable service. Tom Fitch and Peggy Ehrenberg have ensured that our students, employers, faculty, staff, and alumni are receiving the most up-to-date career-related resources from social media outlets, such as Twitter, LinkedIn and Facebook. We invite you to follow Tom Fitch on Twitter and to join our Facebook fan page. On January 25, Commerce Career Services held the 10th Annual Etiquette Dinner thanks to sponsorship from the Altria Family of Companies. 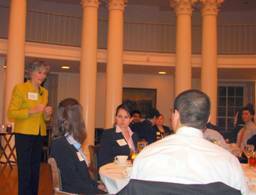 Forty 3rd year McIntire students spent an elegant evening in the historic Rotunda's Dome Room while learning dining etiquette tips to assist them through the vigorous internship interview process. Prior to the dinner, Altria Family of Companies hosted a networking reception giving the students an opportunity to practice the crucial "elevator speech." The featured guest speaker was nationally recognized etiquette expert, Nancy Mitchell (The Etiquette Advocate). Ms. Mitchell has over 25 years in the etiquette business and has been featured on Good Morning America, Fox News, and NPR. Her message to students went beyond which fork to use and where to place a napkin - she emphasized civility and the notion that etiquette is making those around you feel comfortable. Students were impressed with the event. As Manish Mordani, a third year concentrating in Finance, stated "There are so many doubts I've always had about dining professionally versus dining socially. This dinner cleared all of them out - a fantastic experience!" The students were not the only ones who were impressed. Ms. Mitchell shared she was impressed with the McIntire students and was honored to speak in the historic Rotunda. Danielle Timmons, Brand Manager for Philip Morris USA, and other representatives from the Altria Family of Companies joined the students for the networking reception and dinner. The annual dinner is open only to McIntire students and representatives from the sponsoring employer and is held annually in January. For more information about CCS' annual etiquette dinner, please contact Amanda Flora. Build Your Brand at McIntire in 2010-2011! Commerce Career Services (CCS) offers numerous ways for you to build and maintain your brand at McIntire. We would welcome the opportunity to work with you and to learn more about your company's recruiting goals and initiatives. We are committed to assisting you in every step of the recruitment process; our services are individualized and flexible to suit your company's needs. Please contact Director for Employer Relations, Mary Riner to discuss resourceful ways to build and maintain your brand at McIntire! Did You Hire a McIntire Student? If you hired a Class of 2010 or 2011 McIntire student for an internship or full-time position with your firm, please send Mary Riner this information so we can accurately reflect it within our annual Destinations Report. The Class of 2010's Destinations Report will be available to you via our website by the end of the summer. Thank you for your involvement in the McIntire School of Commerce and we appreciate your interest in recruiting our students! Click here for a detailed agenda and speaker bios. For more information, please contact Mandi Crisp, Director of Special Events. We hope you enjoyed our McIntire Minute newsletter. We wish you the very best as you begin planning for your fall & spring recruiting initiatives. Please let us know how we can assist you. We look forward to continuing to work with you!